Buff off wax without creating swirls! Sonus Der Wonder Microfiber Buffing Towels are soft, plush, and gentle. Use these towels to buff off waxes and quick detailers without scratching. Sonus Der Wonder Microfiber Buffing Towels are an excellent choice for safe, scratch-free detailing. Sonus Der Wonder Microfiber Buffing Towels has double-sided construction. One side is a tight microfiber weave that does a great job of removing wax and paint sealants. The other side has a deep, plush microfiber pile that gently buffs off spray waxes and quick detailers. The deep nap helps protect auto paint against scratches caused by loose grit. Sonus Der Wonder Microfiber Buffing Towels are made of a 75/25 blend of polyester and polyamide. The split weave microfiber is absorbent and plush. A soft satin edge prevents snagging as the towels glide over the paint. Use Sonus Der Wonder Microfiber Buffing Towels with your Sonus detailing products to bring out your vehicle's luster without scratching. World's Best drying towel. Wunderful! For those of us who blow dry our cars, where minimal water is left, these things are simply amazing! 1. Because its not super thick, its lint free. Godsend on black paint. 2. Because its not the size of a bath towel, you can move fast and nimble. 3. 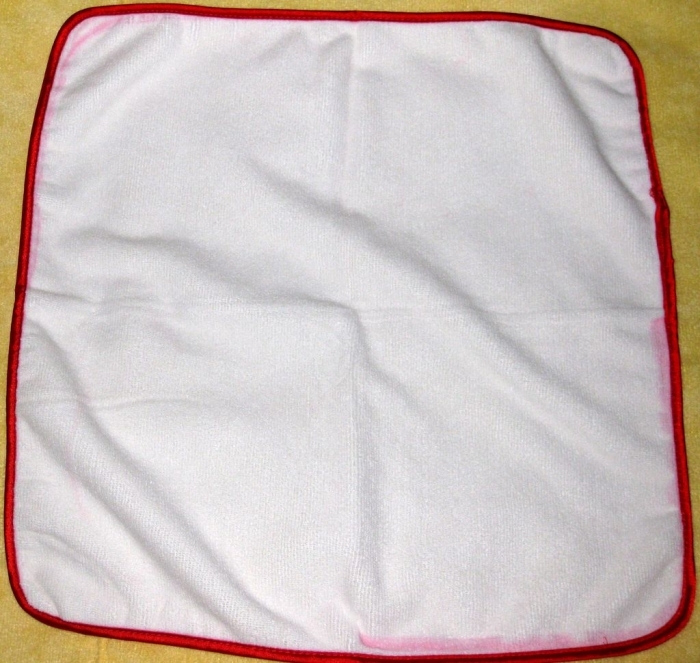 The best part, white shows everything, so you can see any debris that lands on the towel. (think seed pod from tree) or worse you missed a spot during washing and then drag that dirt around the whole car because your single dark towel wont show you. It glides beautifully over paint, its safer and easier to use 4 of these (it only takes me 2) to dry a car than to use one thick damp towel. ProsLint free, perfect thickness, shows dirt, silky edge. ConsSilly choice of color for the edge. I have not had any bleeding, but it could have been white. Don't trust the Sonus name, these towels are terrible. Red border color bleeds onto the towel. 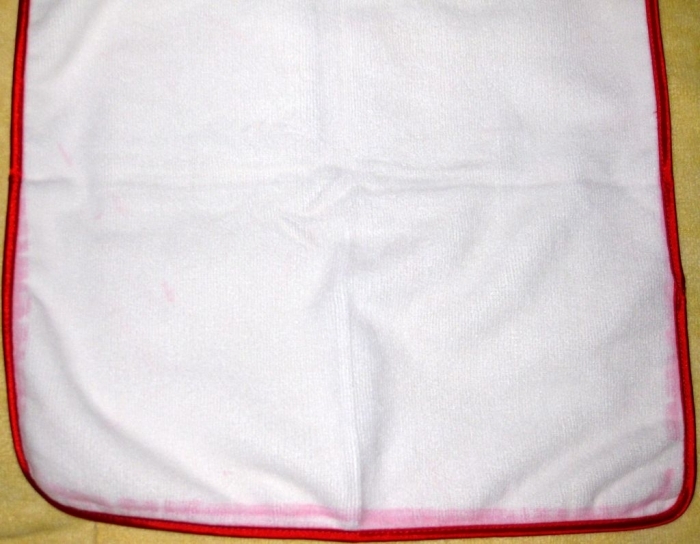 I removed the towels from the packaging and in places where they were folded red dye from the border transferred onto the towel (see attached images). Running them through several cycles in a washing machine only makes it worse as the towels become more saturated in the red dye from the border. Auto Geek customer services has been outstanding and sent me a replacement (at no charge). However, the same problem persists with the replacement towels. These towels would never come near my vehicle's paint. I'm going to use them for random dirty jobs around the house. Arctic White towels are much better quality (softer and don't color bleed), so I'm going to order more of those. Merchant Response:Sorry to hear about your less-than-stellar experience with the towels - the manufacturer has been notified. While they don't look pretty with the red dye transfer, this does NOT affect the performance of the towel one bit. As everyone knows companies sometimes switch their suppliers but so far every time I have ordered these Sonus towels they are the very softest buffing towels I've used. They aren't as thick as PS towels but they are softer. Having said all that I stocked up awhile ago and haven't ordered any from the recent batches in awhile.